Kids love to make concoctions from leftover food and cleaning supplies. These unexpected chemical reactions create bubbling, strange aromas and weird colors that are dramatic and require careful vigilance so your kids don’t try to eat or drink these brews. 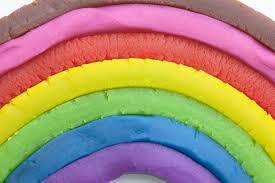 Play dough is simple and fun to make. Just combine two cups flour, 1 cup salt, 2 cups water, 4 teaspoons cream of tartar, 2 tablespoons oil and food coloring. Mix and stir constantly over very low heat until a ball forms. Then play with your dough!